One time, on my blog (www.xaviersrevenge.blogspot.com), someone made an anonymous comment that I wear my Puerto Rican pride “like that kid in High School who thinks he discovered Led Zeppelin, and for 4 years wears black zeppelin shirts to school.” Although I don't particularly care for the music of Led Zeppelin (no offense to his fans), the remark made me question whether there is anything wrong with being proud to be Boricua and displaying that nationalism in everything I do. Growing up, my grandmother would occasionally comment to me that if she could be reborn that she would be Puerto Rican all over again. I would ask quietly in my hand, whats so special with being from a tiny little island like Puerto Rico? Ironically, in conversations on the islands future political status, my grandmother would say that “que los boricuas son bien bagos” and cannot survive as an independent nation. How could a woman with so much national pride and dignity at the same time limit our own collective potential? Around my neck, I wear a macheté to remind me of my familial roots – for my grandfather and his father before him who toiled in the U.S company-owned sugarcane fields. 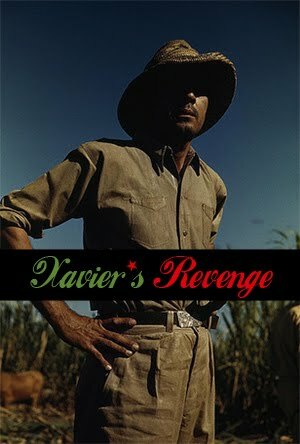 Everyday, they rose at the crack of dawn to sweat under 100 degree weather while wearing long-sleeve shirts and gloves, cutting the hard, human-size sugarcane stems while the fields crackled with fire, engulfing them with smoke. I invoked this memory to my grandmother when she made the comment and the fact that at age 18, until she was 8 months pregnant with my aunt (who now is getting a doctorates in Education), she worked, standing for hours on end, at a factory in a new country, during the middle of a Chicago winter. Los boricuas son bien bagos, ¿verdad? 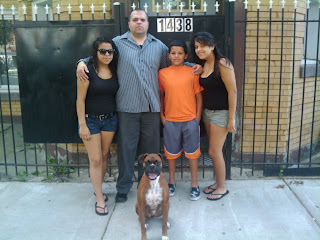 Countless Puerto Ricans in Chicago have similar stories to these, many of which will never be told. 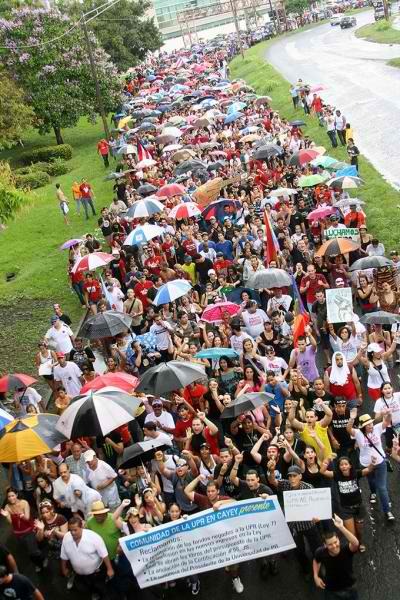 However, what can be told is recorded facts of the collective possibilities of the Boricua people. On their website, the Puerto Rico Space Grant Consortium states that Puerto Rico is the leading producer of Latinas/os in the United States who have a bachelors degree in Science, Technology, Engineering, and Mathematics. According to the consortium, islanders receive 17% of those degrees, while they account for only 9% of the Latina/o population. Furthermore, according to a 2005-2006 study from the American Chemical Society, the Mayagüez Campus of the University of Puerto Rico graduates more chemical engineers than any college in the entire U.S. While reading the article, La Radio Ante Nuevo Retos, by Elmer Gonález in La Claridad newspaper (May 20-26, 2010), I also discovered that the fifth radio transmission in the entire world and the second in all of Latin America took place in none other than Puerto Rico on December 3, 1922. What were the first sounds broadcasted from the radio station? The musical notes of our beloved national anthem, La Borinqueña. And we don't even have to look to the island to see how Boricuas are able to accomplish so much. One of the first Puerto Rican families in Chicago, the Sanabrias, were pioneers in engineering and television. 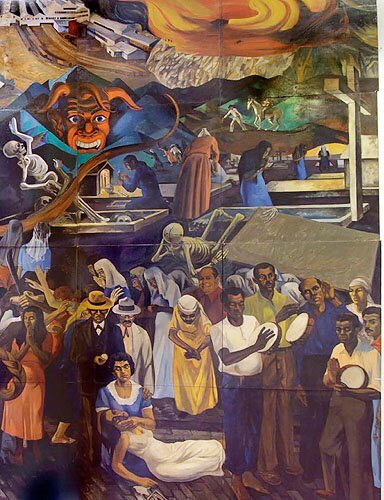 According to the 1989 book, “Chicago: Historia de Nuestra Comunidad Puertorriqueña” by Manuel Martínez, the Chicago-born Boricua engineer, Ulises Armand Sanabria, was the “builder and engineer of the first television station in Chicago on June 12, 1928” and founded the Sanabria Television Corporation in January, 1931 where he produced the “first 10' television pictures for public viewing.” He also founded the American Television Institute in 1935. This is only a small glimpse of what we, as a people, have accomplished. This is not to say that other people of different nationalities have not accomplished great feats, but it is my attempt to chip away from the prevalent cynicism and self-hate among our community. As for my grandmother who, after years, made these negative comments about Puerto Ricans. Well, she promised to stop. Why? Well, I told her that if she wanted people to look upon her and her people in a good light it all must begin with herself – we have the key to our image. So often, we are hooked on whats wrong and “bad” about our people and community – we just need to learn how to see the world differently. If you, the reader, were to look at Division Street and Humboldt Park more than just a ghetto and see how the Puerto Rican community has transformed those spaces into something to be proud of, then you will understand what I mean. Then take it further and think of how we, as Boricuas, with so many obstacles in our way, are able to accomplish so much and how we continue to do so, together, as a community, here, on Paseo Boricua. What began in April as a call for a 48-hour student strike at the University of Puerto Rico (UPR), Río Piedras campus, is now reaching its second month. This student struggle has not only surprised and mesmerized multiple political sectors of the island, from the university administration and the central government, the independence movement and the unions, but more importantly the general populace and the international community. On July 1, the 14-member National Negotiating Committee (NNC), which was chosen in democratic student assemblies of thousands of participants, clearly stated the students' demands to the island through multiple internet and radio outlets. Demand number one: withdraw Certification 98, which removes student waivers for many students and university employees and their families. Demand number two: stop the policies of privatization of any campus. In essence, UPR must remain a public university. Demand number three: end the rise in tuition costs. And the last and fourth demand: no legal sanctions against any student who has participated in the strike. The UPR administration has not fully promised to meet these demands and thus, the students remain unwavering in this struggle. The students, in the face of so much defamation and lies, have remained strong in their convictions, as well as their character. Students have painted murals, conducted educational theatrical performances, study groups, community clean-ups, their own radio station, Radio Huelga, and will even organize their own graduation on June 13. This strike has offered the concrete application of student skills, proving that political struggle and community work is also bastion of educational possibilities. Nonetheless, on May 20, numerous students were arrested and dozens of others were beaten, in broad daylight and in front of Univision news cameras, by the police for simply protesting in front of the Convention Center where Fortuño was speaking. Two days earlier, after numerous violent altercations instigated by the police squad guarding the Río Piedras campus gates, the students and the unions joined in a peaceful national march and strike that invoked thousands of people. On May 22, in solidarity with the general strike, the Union for Puerto Rican Students (UPRS) student organizations at Northeastern Illinois University and the University of Illinois-Chicago hosted a “Charla sobre la Huelga Estudiantil en Puerto Rico” with the President of the Comité Pro-Derechos Humanos de Puerto Rico, Eduardo Villanueva, J.D., as the main speaker. In the intimate conversation on Paseo Boricua, with over 30 people in attendance, the prestigious lawyer described the UPR strike as new hope for the island in continuing the radical work for political and social change that was established in decades pasts. This is echoed by the main slogan and website of the NCC, “UPR es un País” - “UPR is a Country.” The student strike is intricately connected to the problems facing Puerto Rico and as such, the students are offering solutions, ones that should be applied throughout the nation. On April 24 the ¡Humboldt Park NO SE VENDE! 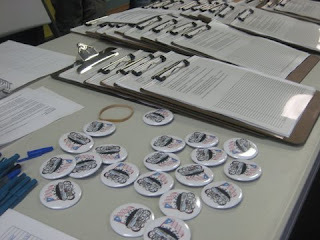 campaign, alongside the Bickerdike Redevelopment Corporation (BRC) organizing department, mobilized nearly 70 community residents and activists to collect 451 supportive signatures for the not-for-profit housing corporation’s Zapata Apartments in Logan Square’s Armitage Avenue Corridor. The petition drive included a day of conversation about the project, a door-knocking workshop, and two and a half hours of door-to-door canvassing from North to Central Park Avenues, Armitage to Kimball Avenues. Although, the ¡Humboldt Park NO SE VENDE! campaign focuses primarily in the Humboldt Park community through the organizing of residents to support the development of Paseo Boricua, the organization holds onto the idea that an attack on affordable housing anywhere is an attack on affordable housing everywhere. Nowhere is this more true than in the recent onslaught of misinformation surrounding Zapata Apartments, promoted by self-interest groups and individuals, such as the so-called “Armitage Neighbors Together” (ANT). In 2003, community-led planning sessions through the Logan Square New Communities Program identified a shortage of affordable rental housing near under-enrolled elementary and middle-schools. BRC was asked by the Logan Square Neighborhood Association to be the developer of this much-needed project. As Joy Aruguete, Executive Director of BRC eloquently stated, “All of our projects is at the behest of community residents.” For 42 years, the aforementioned housing organization has just done that, building about 1,000 rental units of affordable housing in communities such as West Town, Hermosa, Logan Square and in Humboldt Park, where it just recently completed its massive three-building La Estancia project on Paseo Boricua. Zapata Apartments has been in the process for nearly five years and just when it was gaining steam, ANT emerged with a long-awaited attack, even going as far as suing the city of Chicago for supporting the project. Throughout the years BRC has met with thousands of community residents in the area, even those who initially opposed the project. “We have no reason not to meet who are anti-affordable housing [people],” says Mrs. Aruguete. However, it is not dialogue that this opposition is seeking. Many of ANT’s members are real-estate developers angry at the prospect of a community developing on its own terms without the need for the ridiculous profits that have displaced thousands of working Puerto Rican and Latina/o families from Logan Square and Humboldt Park. In a lawsuit filed just moments after ANT officially applied for a non-profit status, the group claimed that Zapata was an “unconstitutional re-zoning of certain property” and includes “invidious spot zoning,” or in other words, complete disregard of the surrounding nature of the community. In actuality, the project itself will fill lots that have been vacant for two decades with 1-3 bedroom apartments and even play lot for community youth. Furthermore, the possible tax revenue generated from the project could reach up to $72,000 a year, when there was once none. Also, the units will be priced 50% below of the median area income. In response, BRC addressed the major concerns specified in the lawsuit and is still continuing with the zoning process. The petition that they have put out also seeks to gain some Tax Increment Financing (TIF), which is all too rare for affordable housing in Chicago, for the project in the 35th Ward.